The S&P 500 index, the market's main benchmark, finished the year with a loss of 6.2 percent. The last time the index fell for the year was in 2008 during the financial crisis. Wall Street started 2018 strong, buoyed by a growing economy and corporate profits. Stocks climbed to new highs early, shook off a sudden, steep drop by spring and rode a wave of tax-cut-juiced corporate earnings growth to another all-time high by September. Then the jitters set in. The autumn sell-off knocked the benchmark S&P 500 index into a correction, or a drop of 10 percent from its all-time high, for the second time in nine months. 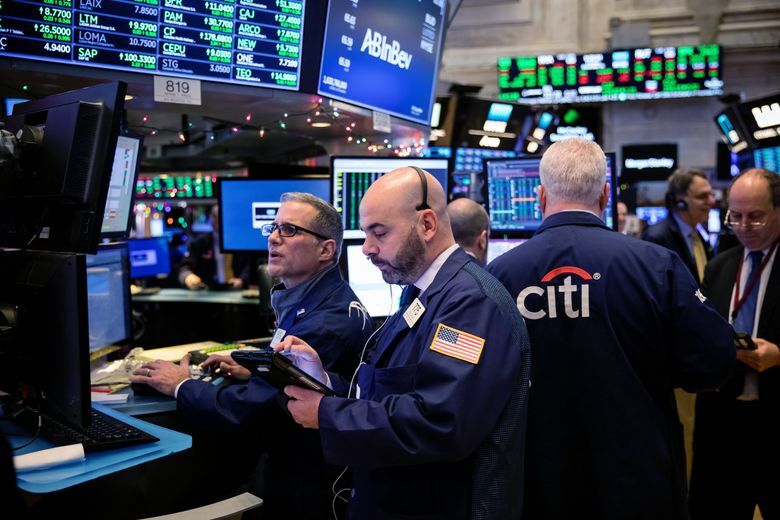 A Christmas Eve plunge brought it briefly into bear-market territory, or a drop of 20 percent from its peak, before closing just short of the threshold that would have meant the end of the market’s nearly 10-year bull market run. Health-care stocks paved the way for Monday’s modest gains. The sector ended the year with a 4.7 percent increase, to lead all other sectors in the S&P 500. Utilities were the only other sector to eke out an annual gain, adding 0.5 percent. Technology companies, a big driver of the market’s gains before things deteriorated in October, ended the year with a 1.6 percent loss. Among the five so-called FAANG stocks — Facebook, Amazon, Apple, Netflix and Google parent Alphabet — three ended 2018 lower while Amazon rose 28.4 percent and Netflix jumped 39.4 percent. In other energy-futures trading, wholesale gasoline slipped 0.2 percent to $1.32 a gallon. Heating oil rose 1 percent to $1.68 a gallon. Natural gas plunged 11 percent to $2.94 per 1,000 cubic feet.